Welcome and thank you for participating in the 2018 Fall Brawl Lacrosse League, which starts Sunday, September 16th at William Allen Middle School and Moorestown High School! We are excited to host the numerous lacrosse teams and clubs from southern New Jersey. Below are a few reminders, updates and announcements. 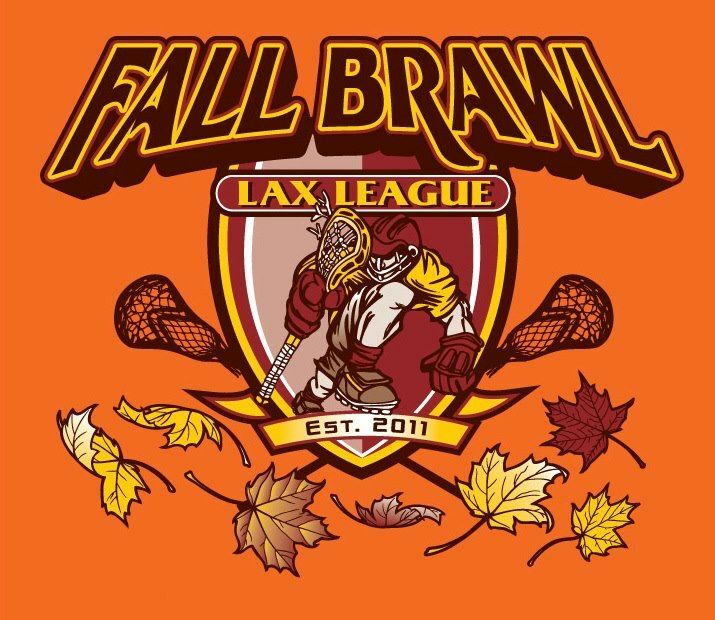 Please visit, bookmark and become familiar with the SJQL Fall Brawl Lacrosse League website. Most of your questions can be answered there, but you are always welcome to email, . Each Fall Team has a Team Page-Check it out! I plan to use the team page for most communications this season, since I can communicate via email with all registered coaches and players from the team page. The info. you receive via email will be posted on your team page. Please subscribe to our Facebook page to get league and schedule updates as well as announcements. You are welcome to post pictures or leave positive comments and feedback. All league games will comply with normal NHFS & USYLL games rules with a few exception. League rules can be found on the website under League Rules. All games are officiated by certified referees. The first 2 weeks of the schedule have been posted the website. Each team will have a minimum of one game each week, a few divisions require teams to play twice. Youth teams please note you will play both A & B teams due to the limited number of teams register per division. We will do our best to monitor games & scores and make the necessary adjustments throughout the season to insure teams are playing the best competition in the appropriate division. Please double check bracket, field, schedule and assignment on the website before you head out the door Sunday morning. All weather related cancelations will be posted 2 hours in advance, whenever possible. If games are canceled, we will do our best to add make up games and spread games out over the remaining weeks. However, this is no guarantee. Oct. 21st has been added as Rain date/make up week this year. There are no refunds for missed or canceled games. All game change requests must be made by Tuesday prior to that week’s scheduled games. We will do our best to accommodate each requests, but there are no guarantees. Updates to the schedule will be announced, posted and emailed to you. Youth & HS -Between 8am-12pm, last games starting at 12noon. HS games will be played at either William Allen Middle School Fields #1-4 or Moorestown HS, Bridgeboro Rd Fields #5-8. Pets are not allowed on the school grounds during games. Please do NOT park on the GRASS @ the schools. Directions (LINK) - Directions can be found on the website under the Home Tab, select Fields from the drop down. *Dates, times, location subject to change. All players & coaches are required to have a current US Lacrosse membership. Payments - NO PAYMENT, NO PINNIE NO PARTICIPATION. PAYMENTS ARE OVER DUE and WILL NOT BE COLLECTED AT THE FIELD. PLEASE USE THE LINK TO PAY ONLINE. CLICK HERE TO MAKE PAYMENT. IF PAYMENT IS NOT RECEIVED BY FRIDAY 8/25, YOUR ACCOUNT WILL BE ASSESSED AN ADMINISTRATIVE LATE FEE OF $15. PAYMENT MUST BE RECEIVED BY SATURDAY 9/9, IN ORDER TO PARTICIPATE IN THE LEAGUE. IF YOU NEED TO MAKE PAYMENT ARRANGEMENTS, PLEASE EMAIL . Check(s) payable to SJQL LLC is acceptable. On check, please include team name/grade in the memo box. If there is an emergency with a coach, player, parent or fan – please call Lee Ann McLoughlin (609.760.3121) immediately. First Aid supplies and ice for injuries will be at the Registration Tent. In the event of a serious emergency, 911 will be called. Injuries - All injuries must be reported at the Registration Tent. If the injury is season ending, you can request a partial refund or request to apply your registration fee to the 2016 season. Request must be made within 14 days of the injury. Medical documentation from physician must to be provided with request. Once the league starts, there will be no refunds. Only season ending injuries that occur at FBLL will be considered for refund. (Process addressed above.) Please click on the link to view the FBLL Refund Policy. Coaches or Team Managers and ALL SJQL House Team players, check in at the Registration Tent 30 min prior to start of your first game to pick up pinnies. No players will be allowed to participate without a pinnie or payment. No extra pinnies will not be provided, but can be purchased after all have been distributed to league players. Concessions and apparel will be for sale most Sundays. If anyone is interested in volunteer hours, we welcome help with the concessions. Adult supervision is necessary. Please email if interested. League sponsor, Universal Lacrosse, will be out to the field to vend a few Sundays. Announcements will be made when they vending. Sponsorship opportunities are available, please email if interested. Photos Needed-If you take pictures of games, feel free to email them to us to post on the Website and/or Social Media. We are excited to host all of you and are looking forward to a fall of fun, great competition, camaraderie, and excellent lacrosse this fall! If you have any questions or concerns, please do not hesitate to reply.